See how to make simple veg kababs. 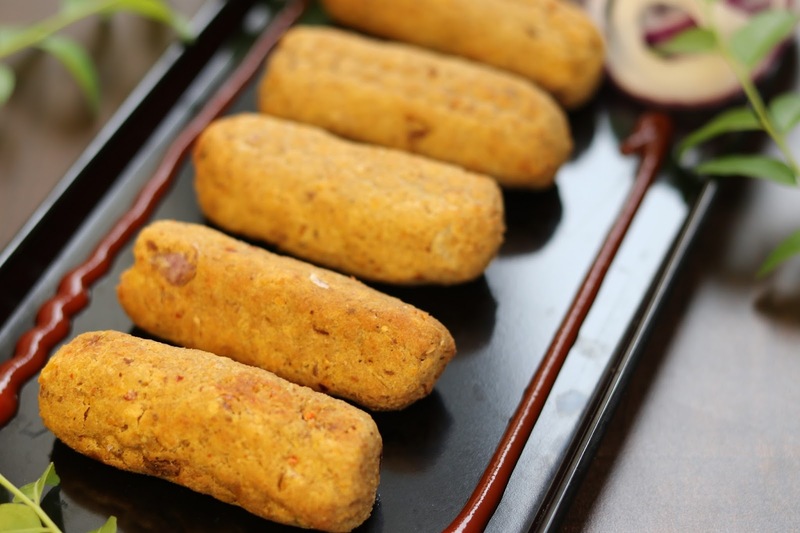 Savor this delicious and healthy bread chana kababs made using white chana. 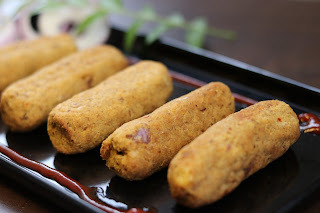 Kababs made in airfryer are healthy and taste yummy. 1. Grind bread slices in a mixer grinder jar. Do not remove the brown edges. Fresh bread crumbs will be ready. 2. In chutney jar, add boiled chana along with all the ingredients. Churn it to get coarse masala chana paste. 3. Mix both bread crumbs and chana paste. Add little oil and mix again. 4. 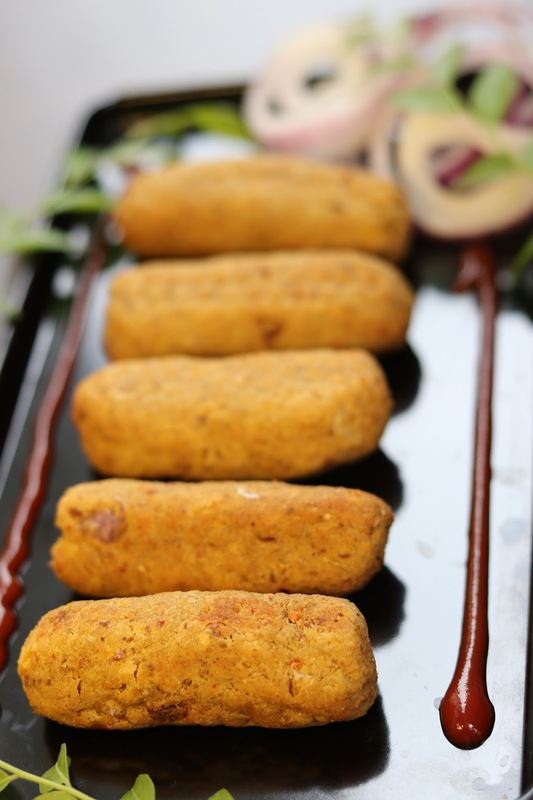 Make kababs of desired shape and apply a coating of oil on all kababs. 5. Preheat airfryer and place all chana kabas inside the basket. Air fry kababs at 180 degrees for 8 min. Once the kabas are golden brown, remove from the basket. Serve with chutney.